The aim of the MANUFACTURING conference is to review the state of knowledge, present the results of scientific work, implementations and innovations, as well as to provide an international forum for the dissemination and exchange of experience in the field of design and machines building, manufacturing technologies, metrology, rapid prototyping and virtual reality as well as management and production management. Additional goals of the MANUFACTURING conference are the integration of the scientific community with the economic environment, enabling the establishment of cooperation with partners from industry and business, as well as with domestic and foreign research and development centers. Authors are invited to submit manuscripts written in English. All contributions must be original, should not have been published elsewhere and should not be intended to be published elsewhere during the review period. All submissions will be peer reviewed – all submitted papers will be refereed for quality, originality and relevance by the Program Committee. Accepted papers will be published in the conference proceedings by Springer as Lecture Notes in Mechanical Engineering series. The books of this series are submitted to, among others, ISI Proceedings (Web of Science) and SCOPUS. Acceptance is based on condition that at least one author will register and present the paper at the conference. The paper should contain at least 20 000 characters and less than 41 000 characters. An electronic version (PDF format) of the full paper should be submitted by the paper submission deadline to the conference website. Manuscripts should be provided according to the guidelines given at the following link were you can find the necessary styles and information. Extended papers may be considered for special issues of selected journals, subject to further review (Management and Production Engineering Review (MPER) or Archives of Mechanical Technology and Automation (AMTA)). All papers must be submitted electronically in PDF format using the conference management system EasyChair. Please leave out names and affiliations of the authors as well as the contact details in this version. Please use the following EasyChair MANUFACTURING 2019 link to create an account and submit the paper. 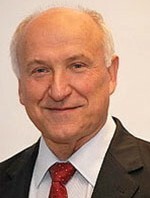 The Administrator of your personal data is Poznan University of Technology located at Pl. Marii Skłodowskiej-Curie 5, e-mail: biuro.rektora@put.poznan.pl, phone: +4861 665 3639. The data will be processed for the implementation and settlement of the conference MANUFACTURING 2019. According to the law in force, personal data may be transferred to processing entities (article 28 section 1 GDPR) – to hotels and institutions and companies whose services the conference participants will use as well as bodies authorized under the law. The data will be kept for the period necessary for the proper implementation and settlement of the conference – 5 years from the end of the calendar year in which the conference was organized. You have the right to access, rectify, transfer and delete your personal data and the right to limit processing. You have the right to lodge a complaint with the supervisory authority if you consider that the processing of your personal data infringes the provisions of the General Data Protection Regulation (GDPR) of April 27, 2016. Providing your personal data is necessary to effect the contract of participation in the conference MANUFACTURING 2019. Should personal data not be provided, participation in the above-mentioned conference will not be possible. Your data will not be processed in an automated way, including profiling. 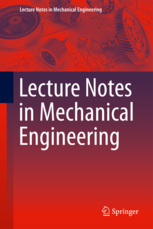 The MANUFACTURING 2019 proceedings will be published by Springer as Lecture Notes in Mechanical Engineering series. The books of this series are submitted to, among others, ISI Proceedings (Web of Science) and SCOPUS. The best research papers in all fields of manufacturing will be recommended to submit its significantly extended version to cooperating journals. All papers will go through the usual journals review process. 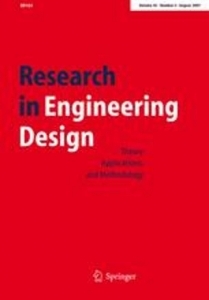 The best research papers on design theory and methodology in all fields of engineering, focussing on mechanical, civil, architectural, and manufacturing engineering will be recommended to submit its significantly extended version to Research in Engineering Design. 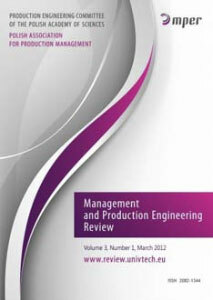 All papers will go through the usual Research in Engineering Design review process. 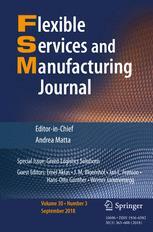 The best research papers on operations management in process and manufacturing industries, production planning and control, monitoring and control of manufacturing systems and supply chain management will be recommended to submit its significantly extended version to Flexible Services and Manufacturing Journal. All papers will go through the usual Flexible Services and Manufacturing Journal review process. The conference will be held at Poznan University of Technology in Lecture and Conference Center, Piotrowo 2 Street, Poznan, Poland. Poznan (www.poznan.pl) is a city whose history goes back more than a thousand years. 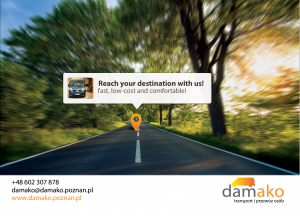 Modern Poznan is a vibrant metropolis, a business, science, culture and entertainment centre. Poznan is the capital of Wielkopolska, a city with the population of nearly 600 thousand. Poznanians are good hosts and organisers. Every year thousands of events, many of them international, are held in the city. The most famous of them is Poznan International Fair. Ławica Airport (POZ) is located only 7 km from the city centre. It is possible to get to the city centre from the airport using bus line 59 or express line L, that is going directly to Railway Station (www.mpk.poznan.pl). Next to the airport hall exit there is a TAXI rank. Poznań has direct connections to: Frankfurt, Munich, London, Copenhagen, Barcelona, Stockholm, Paris, Oslo, Rome and some others. It is also possible to fly to Warsaw or Berlin (both are about 300 km from Poznań) and take a train, bus or rent a car (highway to Poznań). All trains coming to Poznań stop at Poznań Main Railway Station (Poznań Główny) that is located in the city centre. From the station passengers can take tram or bus (www.mpk.poznan.pl). TAXI ranks are located next to the Main Hall and at the West Railway Station exit. PKS Station (Bus Transport Company) is located next to the Main Railway Station. It provides both domestic and international transport services. You can get to Poznań driving A2 highway (a charge is payable for using it): from west – Berlin, from east – Warsaw), national routes no. 92 (east-west direction) as well as no. 5 and/or 11 (north- south). * The conference fee includes: admission to all session, proceedings (conference program, other accompanying materials), coffee breaks and refreshments, lunches, Gala Dinner, participation in additional program. * Conference fee does not cover accommodation cost and the fee does not include bank transfer charges. The fee must be paid by bank transfer or by credit card. Upload proof of your payment for author registration via EasyChair system. If you decide to pay online with Visa or Mastercard follow this link. Upload proof of your payment for author registration via e-mail.